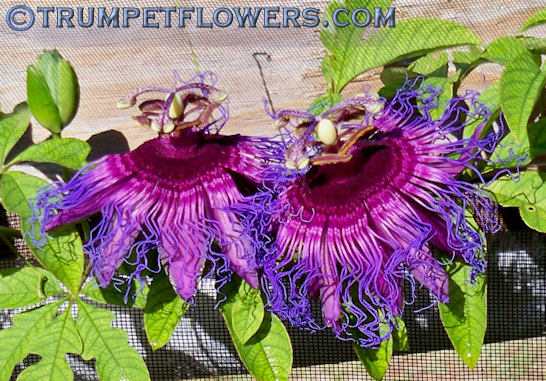 Passiflora Cincinnatta is a beautiful rich purple passionflower with a burgundy corona. 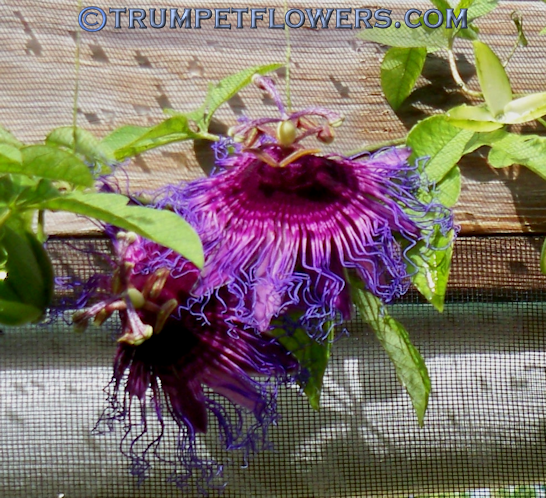 Unlike many passionflowers, passiflora cincinnatta stays wide open all day after bloooming in the mornings. 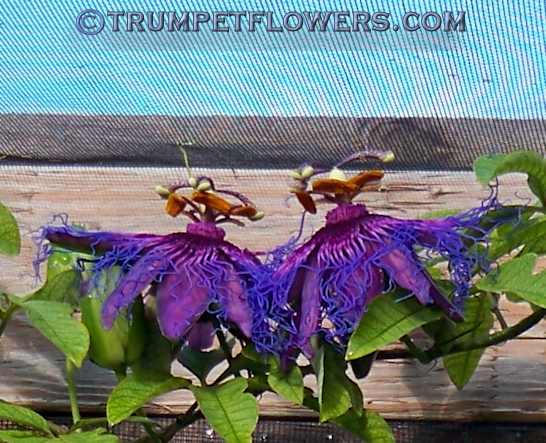 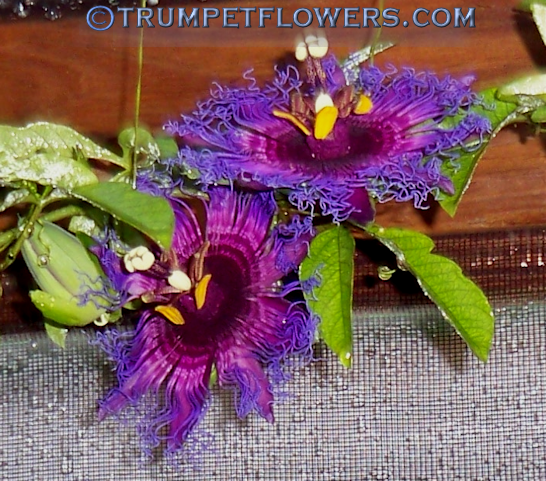 This entry was posted on October 1st, 2012 and is filed under Passiflora Cincinnatta Gallery.